We are Coast Capital Savings, Canada's second largest credit union. We serve over 475,000 members in the Metro Vancouver, Fraser Valley and Vancouver Island regions of British Columbia and offer personal and business financial services. 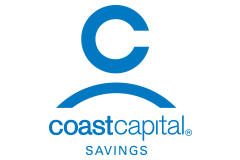 Visit Coast Capital Savings at Richmond's premier shopping destination, CF Richmond Centre.